Ringing In Valentine’s Day; Who gets the Ring when things go Wrong? Valentine’s Day is one of the most popular days to get engaged! Along with Christmas and New Years, Valentine’s Day is the holiday for popping the question. But who gets the RING if things don’t pan out? In Mississippi, the ring is a pre-marriage gift. It can be argued that the ring is actually a conditional gift creating a contractual obligation. How Romantic! Here’s the scenario. An offer of marriage is proposed and a ring given in exchange for a “Yes,” being an agreement to marry. So long as both parties uphold their end; the fellow gives the ring and the lady marries the fellow = offer + acceptance & valuable consideration. At this point the contract is fulfilled and the rings is now the property of the lady. But what if they were only married for a minute? Well, if they married the contract is fulfilled. Certainly, there could be exceptions due to fraud or overreaching, but these are not typical. The chancellor properly concluded that the engagement ring was a gift from [the fellow] to [the lady]. That gift necessarily predated the marriage of the parties. Thus, it was an asset brought by [the lady] into the marriage and was not a marital asset subject to equitable division. MacDonald v. MacDonald, 698 So.2d 1079 (¶ 13) (Miss.1997). It was, therefore, beyond the chancellor’s authority to order [the lady] to return possession of that item to [the fellow] and the refusal to do so cannot constitute reversible error on appeal. Neville v. Neville, 734 So.2d 352 (Ms.App. 1997). 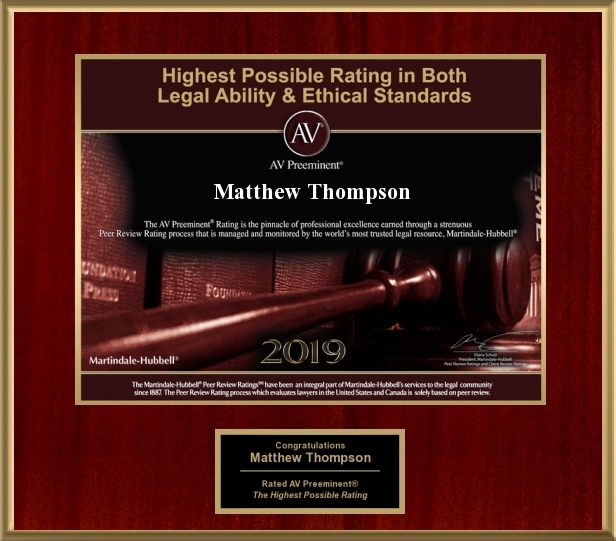 Matthew Thompson is a family law attorney that you can engage in the event you need a divorce, and if you use the above contingent marriage proposal, you just might! I previously blogged on 5 Family Law FaceBook Don’ts. This was a very popular blog topic and continues to generate a lot of traffic. This post lists 5 more things you should not be doing on FaceBook with regards to your family law case. Don’t post Pictures of the other party, whether they be flattering or not. Don’t post Pictures of the children doing activities with captions that note the other parent’s absence. Don’t post Pictures of your new squeeze in a “Parenting Role” that is intended to inflame the other side. Don’t comment on your friend’s drama and “one-up” them with your own. Don’t allow your FB friends to bash your Ex. Stay tuned for more FaceBook don’ts, as I have enough material to make this one a series and unfortunately am learning of new things not to do on an almost daily basis. Matthew Thompson is a family law attorney in Mississippi that strives to not put inappropriate things on FB and thinks you should too! #Trust the Bow Tie.